I passed a blurry eyed student as he was on his way to a final exam this week. He was gripping a Red Bull in each hand. 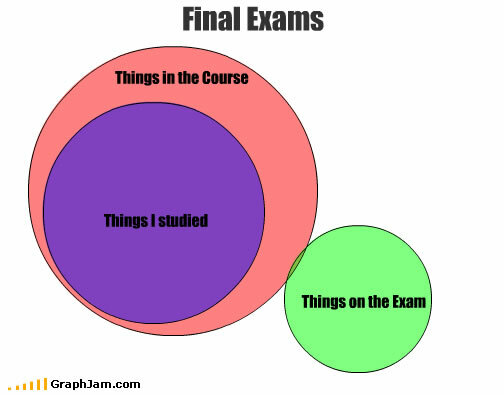 And I was reminded of this final exam diagram shared by one of our peer mentors. Happy Finals to All and all a Good Test!